PLEASE ADD YOUR EVENT TO THE WEBSITE IF YOU HAVEN'T DONE SO ALREADY! Viewing events organised by a variety of individuals and organisations will inspire others to get involved next year. We'll share your update and images on our social media channels, bringing additional online attention to your event and (if applicable) your organisation. 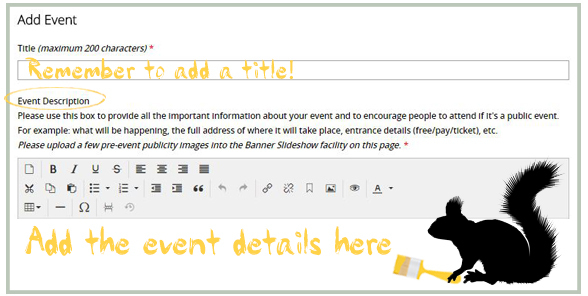 YOU CAN EVEN ADD A YOUTUBE VIDEO OF YOUR EVENT! 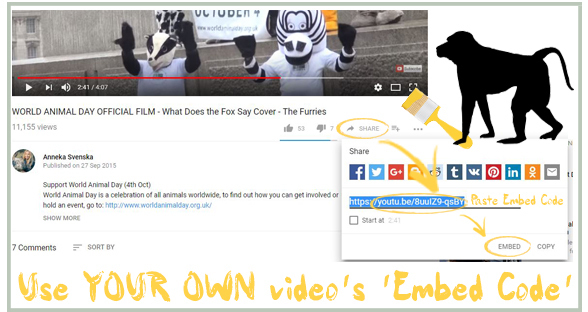 You will see a facility on the page where you can add a link to a YouTube video. paste it into the box provided. find it all quite straightforward. This powerful movement, that grows each year, is helping to make the world a better place for animals - a world where they are always recognised as sentient beings and full regard is always paid to their welfare. 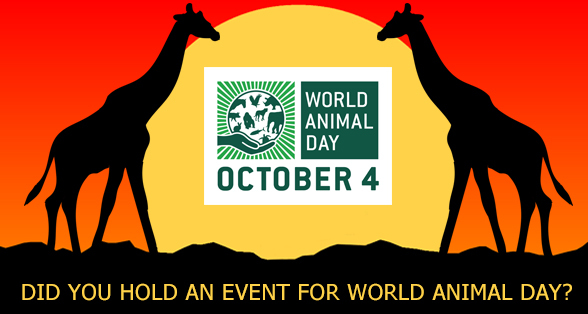 We look forward to seeing your World Animal Day events added each year.